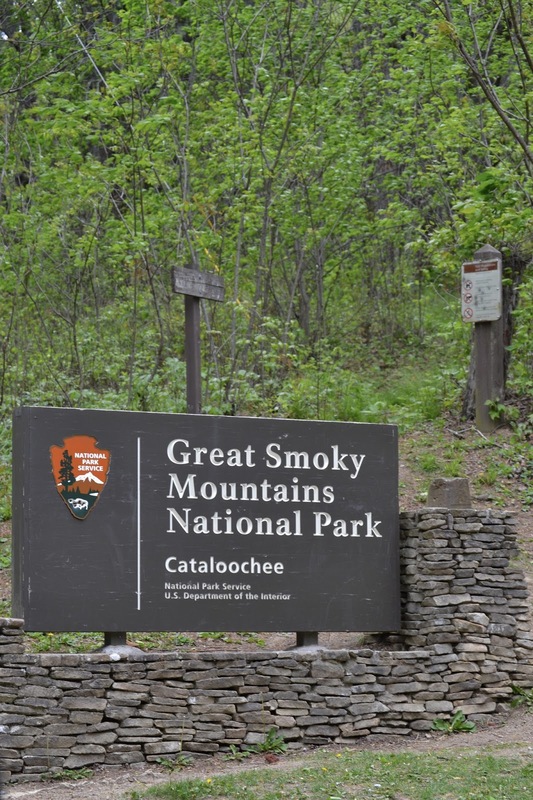 We hadn't made any firm plans (except for horse riding) for our time in the Smokies so on the second day we headed out to explore with no real destination in mind. ...but then again it was pretty spectacular so who can blame him? When we reached the valley floor we were greeted by this handsome chap. Elk don't usually appear during the daytime (we were very lucky!) but they can somtimes be seen on the meadows at sunset/sunrise. After bidding adieu to the Elk we made our way to the Boogerman trail (thanks to the advice of a friendly mountain ranger we met en route). Walking the Boogerman trail is a pretty magical experience - with all the different coloured butterflies dancing on the breeze you could be forgiven for thinking you were in a Disney movie.